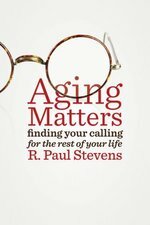 Vocational discernment, says R. Paul Stevens, is a lifelong process -- one that takes on even more significance in later life. In this book Stevens argues that our calling does not end with formal retirement; to the contrary, we do well to keep on working, if possible, till life's end. Stevens delves into matters of calling, spirituality, and legacy in retirement, showing that we must continue to discern our vocation as we grow older in order to remain meaningfully engaged for the rest of our lives. He reframes retirement as a time of continued calling and productivity and points to biblical wisdom that can help us redefine aging as an extraordinarily fruitful season of life. When a community experiences a fracture in its communal life, what tools can be used to foster reconciliation? How can right relationship be restored when there is conflict in the Body of Christ? In Beyond Accompaniment, William Nordenbrock proposes the use of a process that is based in the theory of Appreciative Inquiry as a ministerial method to guide a community from brokenness to communion. His practical application of this process in his work with St. Agatha Catholic Church in Chicago? A community whose pastor had been accused and convicted of sexually abusing minors in the parish? Will be beneficial for communities experiencing conflict of any kind. Nordenbrock helps us focus on the positive aspects of our communities in order to discover that our redemption and reconciliation with God, won for us by Christ, is inseparable from the reconciliation and communion that Christians are to live with one another." William A. Nordenbrock, CPPS, is an ordained member of the Missionaries of the Precious Blood. He is on staff at the Precious Blood Ministry of Reconciliation in Chicago (pbmr.org). Nordenbrock has served his congregation in a number of administrative roles and is currently a member of their General Council. Can women successfully pastor large membership churches? In 2006 at an international meeting of United Methodist clergywomen, this question was raised about how women were breaking gender stereotypes to serve in churches with 1,000 or more members. Two years later, the Lead Women Pastors Project was launched with 64 clergywomen by the General Board of Higher Education and Ministry. Breaking Through the Stained Glass Ceiling: Women Pastoring Large Churches emerged from the project which sought to affirm, empower, and nurture women who pastor large churches in the UMC and is a compilation of stories from some of the clergywomen participants. The yearning to be a theologian is widespread. Pastors, students, supervisors, and mentors all wish to think theologically about their ministries but often feel inadequately prepared. This book seeks to respond by showcasing a variety of approaches to theological reflection brought to bear upon actual situations in ministry. It is written by theological field educators. We define theological reflection as reflection upon lived, embodied experiences in ministry that seeks to make sense of practice and form reflectors in habits for competent ministry. An introductory chapter defines theological reflection as practiced within field education and points readers toward a diversity of approaches. Eleven subsequent chapters present two reflections upon the same case, each reflection written by a different author and representing a different reflection method. The book's significance is as a resource for teaching theological reflection in a range of settings. It not only offers a definition of and rationale for theological reflection but models various approaches to it. Its use of cases furthermore models the use of case studies in theological education and pastoral practice more widely. ""Theological reflection is foundational to ministry formation and thus to field education. However, it can be a complex, diverse, and multifaceted discipline. 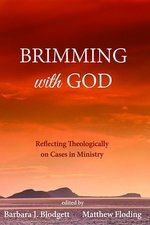 Brimming with God addresses those complexities and provides a wonderful guide to the diversity of theological reflection. It offers clear explanations and examples of how to do theological reflection effectively. This is a resource no field educator should be without."" --Lee Beach, Assistant Professor of Christian Ministry, McMaster Divinity College ""This book is brimming with wise insight. . . . Theology practiced is the theme that runs through the essays in this useful book by some of our most astute teachers of practical theology. Anyone who cares about the practice of Christian theology will profit from this book."" --Will Willimon, author, United Methodist bishop, retired, and Professor of the Practice of Theology, Duke Divinity School ""In an age of answers, Brimming with God cultivates knowledge. The weaving together of personal authenticity and faithfulness; diverse experiences; communal peril and potential; and conversations that are hospitable yet charged--all instill wisdom."" --Jaco J. Hamman, Director of the Program in Theology and Practice, Associate Professor of Religion, Psychology and Culture, Vanderbilt Divinity School ""Here is a book that shows you how theological reflection works. Using a variety of approaches, expert practitioners demonstrate how to theologically think about concrete, particular ministry situations. This is practical thinking that matters for the church. Every theological educator can benefit from this group of master practitioners."" --Kathleen A. Cahalan, Professor, St John's University School of Theology and Seminary Barbara J. Blodgett is the Donald and Lillian Nunnelly Assistant Professor of Pastoral Leadership at Lexington Theological Seminary. She served as Director of Supervised Ministries at Yale Divinity School from 1998 to 2009. An ordained minister in the United Church of Christ, she has served in parish ministry as well as the national setting of the UCC in addition to field education. She has published three books, including Becoming the Pastor You Hope to Be. Matthew Floding is Director of Ministerial Formation and Field Education at Duke Divinity School. An ordained minister in the Reformed Church in America, he has served as pastor, college chaplain, and Director of Field Education at Western Theological Seminary in Holland, Michigan. Floding is a past chair of the Steering Committee of The Association for Theological Field Education. He is the general editor of and a contributor to Welcome to Theological Field Education! 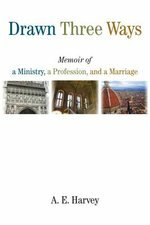 In this compelling memoir Anthony Harvey traces the three ways he has felt drawn throughout his life -- to a ministry in the Anglican priesthood, to a profession in theological scholarship, and to his marriage and family. Harvey recounts his training of clergy in Canterbury, his time as canon of Westminster Abbey, his teaching and research at the University of Oxford, and his many exciting travels. 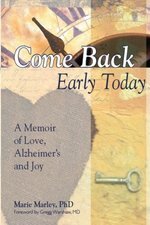 He also candidly discusses the challenges presented by his marriage to an artist and writer whose spells of mental illness, along with the premature death of their daughter, placed great strain on both his family life and his public responsibilities. Throughout the book Harvey authentically narrates his inner tensions and conflicts, his own spiritual questioning, and his propensity toward a Christian stoicism. Weddings have become a billion-dollar industry, with the average cost of a wedding estimated at $30,000. Taking into account dramatic shifts in attitudes toward marriage in recent years, many pastors are confused and frustrated about their role. This book offers a foundational understanding of marriage for today's North American church. Exploring current sociological analyses of marriage and the history of Christian marriage rites, Kimberly Bracken Long suggests that the church rethink its involvement in weddings and offers a distinctively Christian understanding of marriage. Today's church, Long contends, needs to reinterpret classic biblical metaphors and expand the range of scriptural sources that inform our understanding of marriage. Long also looks closely at each element of the wedding service and what makes a marriage liturgy faithful, inclusive, and sensitive to pastoral concerns. She provides practical suggestions for music and Scripture during wedding services as well as guidance on how to respond faithfully to those who are divorced or divorcing. 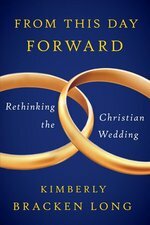 Packed with constructive pastoral wisdom, From This Day Forward--Rethinking the Christian Wedding delivers a practical theology of marriage that will be of help to clergy, seminarians, and others interested in this topic. The experience of grief has been a source of intrigue and curiosity throughout history, and it continues to stimulate thought and theory in various fields of study. Unfortunately, these fields tend to function in isolation from each other. The result is a substantial disconnect between grief research, theory, and care?which has evolved greatly over the last two decades?and ministerial practice. Using a metaphor of grief as a mosaic, Melissa Kelley presents contemporary grief theory and research, integrated with important theological, religious, and ministerial perspectives. Written in an accessible way for ministers, ministers-in-training, and all pastoral and spiritual caregivers, this book provides the most up-to-date theory and research in grief to help inform their care of others. Through exploration of critical topics including attachment to God, meaning making, and religious coping in grief, readers are brought right to the heart of a contemporary understanding of grief. 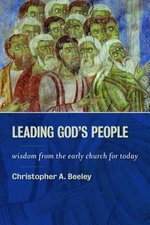 Using the wisdom of the past to address the challenges of the present, Christopher Beeley's Leading God's People presents key principles of church leadership as they were taught by great pastor-theologians of the early church, including Gregory of Nazianzus, Ambrose, Augustine, Chrysostom, and Gregory the Great. This clearly articulated statement offers a hopeful and workable approach to conflict--that eternally beleaguering human situation. John Paul Lederach is internationally recognized for his breakthrough thinking and action related to conflict on all levels--person-to-person, factions within communities, warring nations. He explores why "conflict transformation" is more appropriate than "conflict resolution" or "management." But he refuses to be drawn into impractical idealism. Conflict Transformation is an idea with a deep reach. Its practice, says Lederach, requires "both solutions and social change." It asks not simply "How do we end something not desired?," but "How do we end something destructive and build something desired?" How do we deal with the immediate crisis, as well as the long-term situation? What disciplines make such thinking and practices possible? A title in The Little Books of Justice and Peacebuilding Series. The word "dialogue" suffers from over-use, yet its practice is as transforming and as freshly hopeful as ever. Authors Schirch and Campt demonstrate dialogue's life and possibilities in this clear and absorbing manual: "Dialogue allows people in conflict to listen to each other, affirm their common ground, and explore their differences in a safe environment." Schirch has worked throughout the Southern hemisphere in peacebuilding projects. Campt has focused on racial and class reconciliation in American cities. Women were made to lead. Even in church. Jesus affirmed women as leaders-many contend Mary Magdalene was the first female minister. Yet women in ministry face challenges and obstacles, both from churches and from their own self-doubts. Both men and women miss out when women don't lead. Made to Lead empowers you to live out your calling boldly and confidently. Draw closer to God with relevant biblical examples and heart-felt prayers. Break down stereotypes of women in leadership. And create your own successful reality in which you are a key part of God's holy community. In this instructive book, Hugh Halverstadt advocates a Christian vision of shalom for an ethical process of conflict management. He shows how respectfulness, assertiveness, accountability, and a focus on the larger common good should all serve as Christian behavioral standards. The book is ideal for addressing ministries, church systems, and other nonprofit organizations in conflict. The Local Theologian--a pastor theologian who ably services the theological needs of a local congregation. The Popular Theologian--a pastor theologian who writes theology to a wider lay audience. The Ecclesial Theologian--a pastor theologian who writes theology to other theologians and scholars. 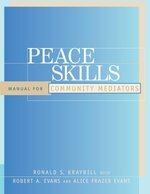 Part of the Peace Skills Set, this Manual is designed as a take-home resource to support workshop participants as they return to their communities and both apply their mediation skills and share their insights with others. It covers conflict analysis, the role of mediation, the stages of mediation, communication skills, and working with group conflicts and in cross cultural settings. Starting with Spirit is a spiritual and professional resource for new pastors, their family members, and congregations, as well as ministers in every season of ministry who seek to grow in vitality and skill in the ongoing adventure of ministry. For more than thirty years, Bruce Epperly has followed the call of the spirit, moving through his vocations as a congregational pastor, university chaplain, seminary and university professor, and seminary administrator. Drawing on these experiences, he addresses the new pastor's transition from seminary student to congregational leader; pastoral authority; the 'honeymoon;' boundaries; death; the pastor's spiritual life, health, and relationships; the role of the associate pastor; and continuing education. There is struggle in an uphill endeavor, but miracle in its very existence. There is something off-putting and hard to swallow about it, true, but also something undeniably compelling. There's a growing segment of "Other" clergywomen -- non-Anglo women of diverse cultures and ethnicities who serve in congregations that may or may not look like them, women with stories of struggle and triumph in their work and ministry. In the candid book Streams Run Uphill: Conversations with Young Clergywomen of Color, author writer, editor, and pastor Mihee Kim-Kort artfully brings together diverse narratives to encourage, educate, and equip clergywomen wrestling with identity, authority, and the uphill struggle against racism, sexism, ageism, and other ministry challenges. Carol Howard Merritt, a pastor in her mid-thirties, suggests a different way for churches to be able to approach young adults on their own terms. Outlining the financial, social, and familial situations that affect many young adults today, she describes how churches can provide a safe, supportive place for young adults to nurture relationships and foster spiritual growth. There are few places left in society that allow for real intergenerational connections to be made, yet these connections are vital for any church that seeks to reflect the fullness of the body of Christ. Carol Howard Merritt, a pastor in her mid-thirties, suggests a different way for churches to be able to approach young adults on their own terms. Outlining the financial, social, and familial situations that affect many young adults today, she describes how churches can provide a safe, supportive place for young adults to nurture relationships and foster spiritual growth. There are few places left in society that allow for real intergenerational connections to be made, yet these connections are vital for any church that seeks to reflect the fullness of the body of Christ. Using the metaphor of a tribe to describe the close bonds that form when people of all ages decide to walk together on their spiritual journeys, Merritt casts a vision of the church that embraces the gifts of all members while reaching out to those who might otherwise feel unwelcome or unneeded. Mainline churches have much to offer young adults, as well as much to learn from them. By breaking down artificial age barriers and building up intentional relationships, congregations can provide a space for all people to connect with God, each other, and the world. 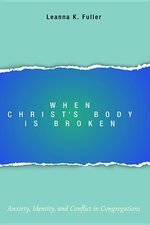 When Christ's Body Is Broken tells the stories of two congregations in conflict. Although these churches had very different problems, they faced similar struggles: to articulate a faithful response to their concerns and to cope with the discord that threatened to tear their communities apart. Pastoral theologian Leanna K. Fuller shares these stories as a way of exploring the sources and dynamics of conflict in congregations. She argues that at the heart of such conflict lies anxiety triggered by encounters with difference. Bringing together resources from pastoral theology, psychodynamic theory, and social psychology, Fuller offers a theological reframing of conflict through categories of diversity, vulnerability, and hospitality--categories that, she argues, can encourage human beings to sit with the anxiety stirred by communal life and remain connected across differences. This reframing provides fertile ground out of which Fuller imagines concrete practices designed for conflicted communities and their leaders. ""Why are church conflicts so common and often so destructive? Why is conflict such an innate part of human life? Why do people and groups in conflict act in irrational and extreme ways? And what can we do about it? Fuller ably answers all of these questions in a text deeply informed by theology, the social sciences, and lived experience. She offers a convincing case for conflict as an opportunity for growth when encountered with vulnerability, compassion, and hospitality. Her prescribed cures and belief in the possibility of transformation ring true and offer hope to anyone who struggles with conflict."" --LeDayne McLeese Polaski, Executive Director, Bautistas por la Paz, Baptist Peace Fellowship of North America ""Many communities of faith are coming apart and their leaders and members struggle to make sense of and respond to the fragmentation. To those who seek to cultivate life-giving community, Fuller offers a resource for hope and direction. She first frames and interprets conflict within two congregations using insights from social psychology and group identity. Fuller then proposes a hopeful theology of difference that frames practical ways forward so that what might destroy can instead be a source of growth and renewal."" --Barbara J. McClure, Associate Professor of Pastoral Theology and Practice, Brite Divinity School ""Many of us have weathered painful church conflict but no one has taken up the problem as provocatively as Leanna Fuller. As refreshing as her use of social psychology on group dynamics and her incisive case studies is her diagnosis of the theological dynamics necessary for healing. She is to be especially commended among pastoral theologians for turning attention to congregations and struggles unique to life in community. An exemplary disciplinary and practical resource!"" --Bonnie J. Miller-McLemore, E. Rhodes and Leona B. Carpenter Professor of Religion, Psychology, and Culture, The Divinity School and Graduate Department of Religion; author, Christian Theology in Practice: Discovering a Discipline (Eerdmans, 2012) Leanna K. Fuller is Assistant Professor of Pastoral Care at Pittsburgh Theological Seminary in Pittsburgh, Pennsylvania. She is also an ordained clergyperson in the United Church of Christ and has pastoral experience in congregational and health care settings. In Why Forgive? Arnold lets the untidy experiences of ordinary people speak for themselves--people who have earned the right to talk about forgiving. Some of these stories deal with violent crime, betrayal, abuse, hate, gang warfare, and genocide. Others address everyday hurts: the wounds caused by backbiting, gossip, conflicts in the home, and tensions in the workplace. 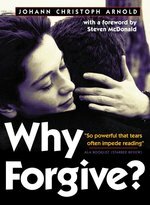 The book also tackles what can be the biggest challenge: forgiving ourselves. These people, who have overcome the cancer of bitterness and hatred, can help you unleash the healing power of forgiveness in your own life. Why Forgive? these stories and decide for yourself.